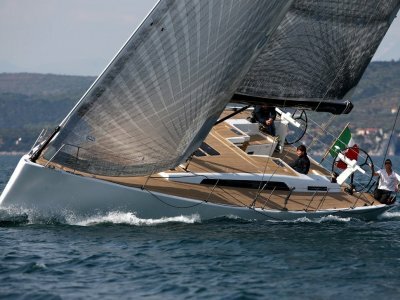 The Moody Deck Saloon 54DS (56ft) was designed by world famous superyacht designer Bill Dixon and built in Germany by Hanse AG. 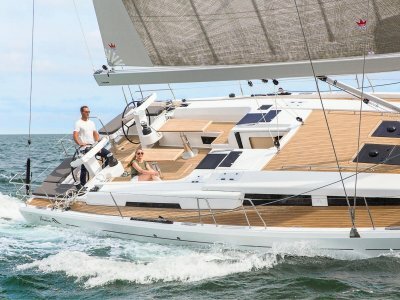 Finally, a true deck saloon yacht with "Living on One Level" with galley up as standard and option of galley downstairs with 3 cabin layout. Standard with 4 cabins, electric winches, teak throughout cockpit and side decks. Moody trademark very safe high bulwalks and solid stainless handrail. Standard with electric in-mast furling. Your choice of interior woods and upholstery's. 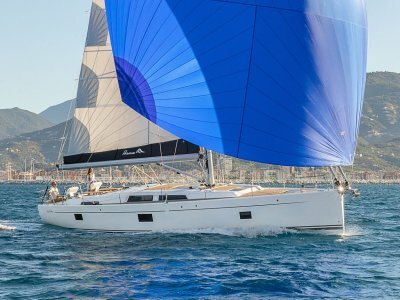 Moody World dealer of the year 2014 and 8 Moody 54DS's sold by Windcraft in the first 18 months of release. A unique yacht with 360 degree vista and inside steering. An amazing cockpit with dinghy garage and massive cockpit locker. Also a large sail lock fwd. Bow thruster is retractable and also in the standard spec. 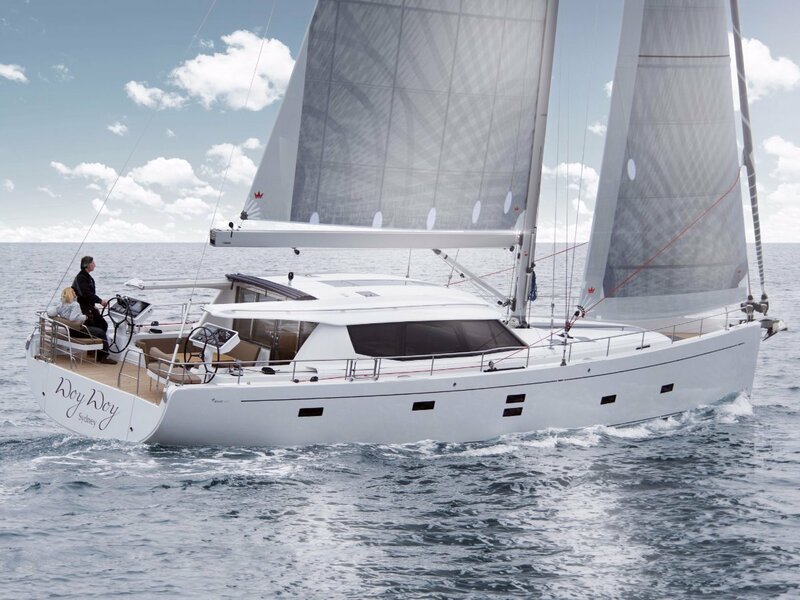 The Moody 54DS is 25 tonnes and a very comfortable World cruising Yacht that can be sailed single handed. Two boat just completed the 2014 Sydney to Hobart Yacht race. Galley 130 litre standard with optional 70 litre draw fridge or freezer, cockpit fridge. Inspect boats in Melbourne, Pittwater and Auckland offices. Suit powerboat or Catamaran buyer.